On the 22nd of March, 2019, Don Jazzy, the CEO of Nigerian top music record label, the Supreme Mavin Dynasty unveiled a new artist, Rema. Rema is the first artist the label is unveiling after their multimillion-dollar investment with the Kubanda holdings and he already has two songs to his credit under the label - 'Iron Man' and 'Dumebi'. We will be seeing Rema's full name, biography, date of birth, age, family, nationality, early life, education, net worth, music, albums, net worth, houses, cars, social media handles and many more things you would love to know about him. 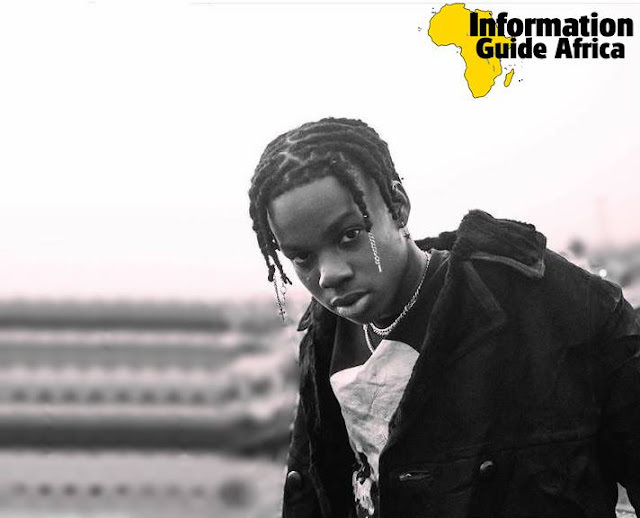 Born in the year 2000 into a Nigerian family, Divine Ikubor better known as Rema started his unprofessional music career from a very young age. He had been affiliated with the Supreme Mavin Dynasty for a while now abut was officially unveiled on the 22nd of March, 2019. The other members of the record label include Don Jazzy, Tiwa Savage, Korede Bello, Di'ja, DNA Twin, Ladi Poe, Dj Big N, Baby Fresh, D'Prince and so on. The big announcement was made on Don Jazzy's official Instagram handle earlier 22nd March, and then across most Nigerian top blogs. Some of his music include 'Iron Man' and 'Dumebi' and we will be expecting more hits from him soonest! Rema was just signed into the record label, and not much is known about him yet. He however has an estimated net worth of $20,000. You can get Rema on Instagram @heisRema. Thanks for reading along! Don't forget to drop us your comments and share to your friends. Please email any corrections or additions to this profile to us via contact@infoguideafrica.com! Before you leave, check out the personal phone numbers and contacts of Young John, Del B and other top Nigerian producers on this page. You cannot see this list anywhere else, visit it now!